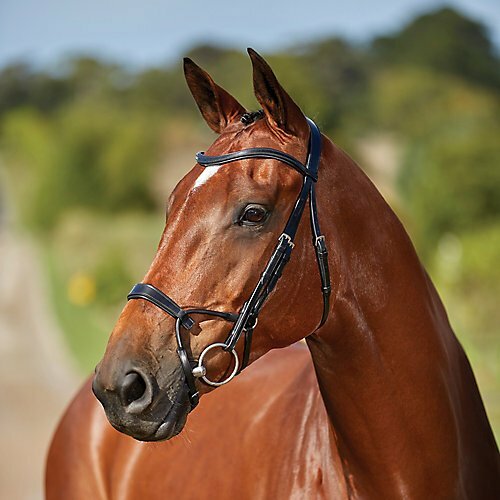 Collegiate Mono Crown Padded Raised Flash Bridle Crafted from high quality German leather with highly polished stainless steel fittings. 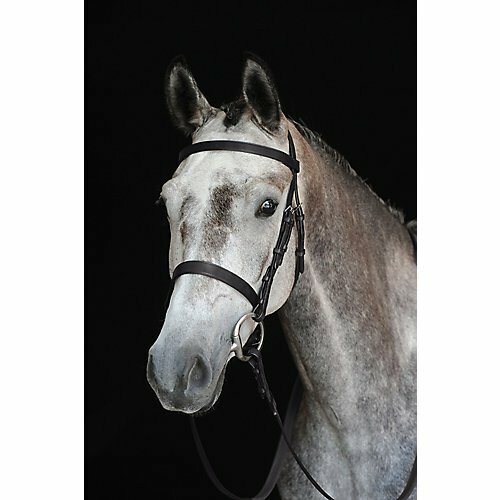 Stylish raised flash bridle with softly padded ergonomic headpiece and raised padded, shaped browband and noseband. Comes with rubber reins. Features: Ergonomic headpiece Stainless steel fittings Reins included Item Specifications: Material: Leather Reins: Width- 3/4" Length- Cob 57", Full 59", Warmblood 61"
Collegiate Mono Crown Padded Raised Cavesson Bridle Crafted from high quality German leather with highly polished stainless steel fittings. 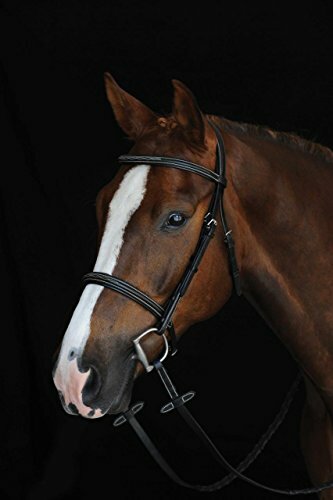 Stylish raised Cavesson bridle with softly padded ergonomic headpiece and raised padded, shaped browband and noseband. Comes with rubber reins. Features: Ergonomic headpiece Stainless steel fittings Reins included Item Specifications: Material: Leather Reins: Width- 3/4" Length- Cob 57", Full 59", Warmblood 61"
Collegiate Comfrrt Crown Fancy Stitched Raised Cavesson Bridle Crafted from high quality German leather with highly polished stainless steel fittings. Stylish fancy stitched raised cavesson with softly padded comfort crown headpiece. Soft Nappa padded browband and noseband. 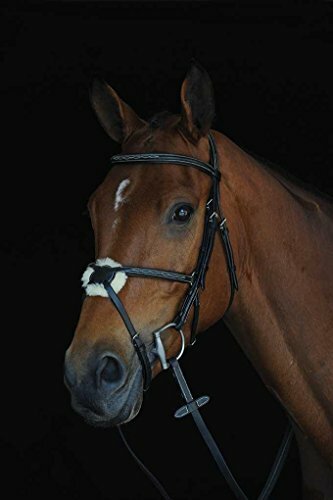 Comes with laced reins. 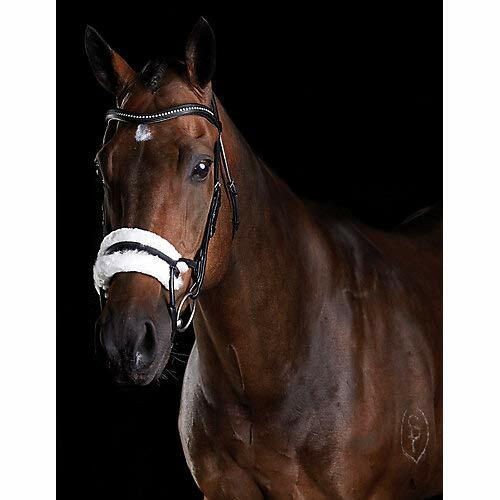 Features: Fancy stitched Ergonomic headpiece Napa padding Stainless steel fittings Reins included Item Specifications: Material: Leather Reins: Width- 5/8" Length- Pony 55", Cob 57", Full 59", Warmblood 61"
Made from the finest quality European leather with soft padding for additional comfort. 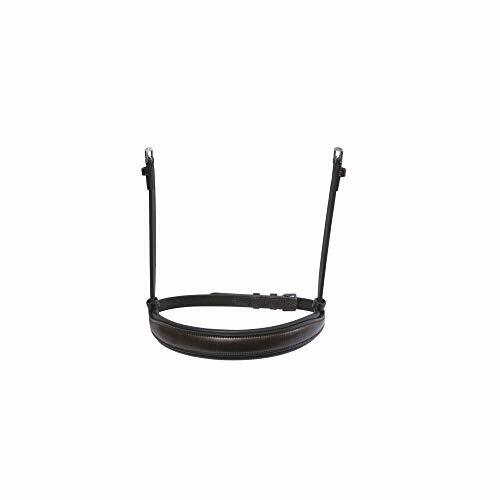 Great quality replacement piece to keep your bridle in full working order. 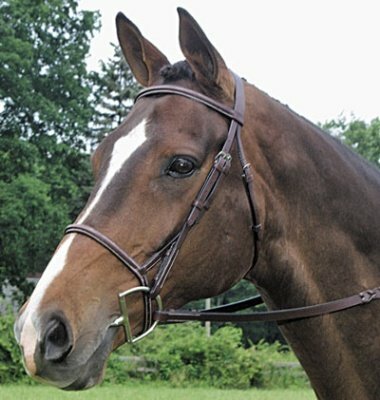 Training bridle made from high quality European leather. 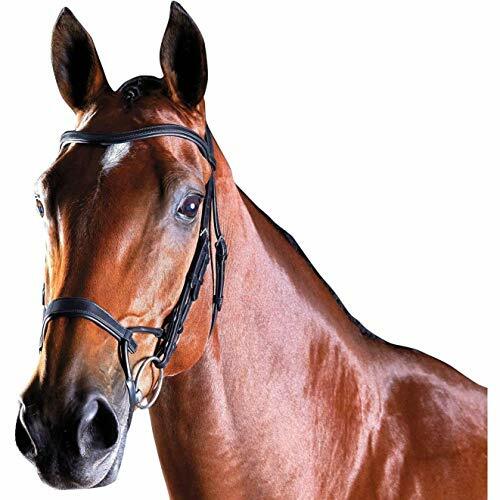 Anatomically shaped headpiece evenly distributes pressure across the poll for comfort. Double padding over poll area minimizes pressure. 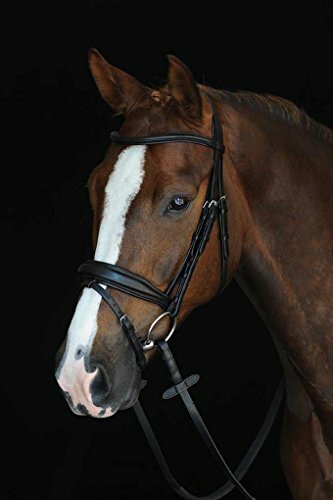 Shaped padding around the horses ears allows for maximum freedom and comfort. 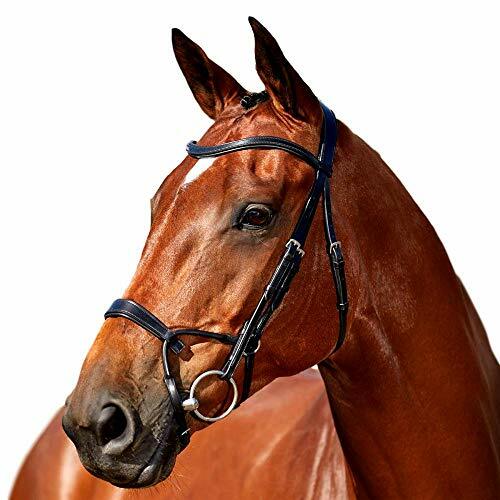 Ergonomically designed noseband shaped to alleviate pressure of the upper jaw and molar teeth. Cheek strap and padded cheek ring alleviates pressure of facial nerves for comfort. 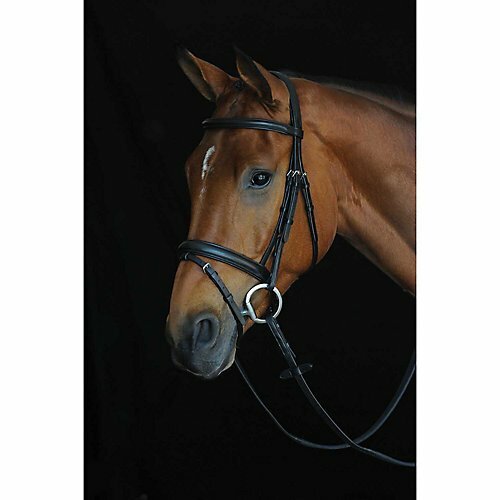 Stylish raised Cavesson bridle with softly padded ergonomic headpiece. Made from the finest quality European leather with highly polished stainless steel fittings. Comes with rubber reins. 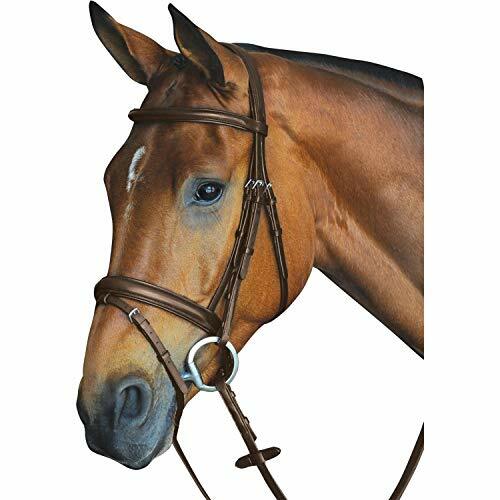 Collegiate Mono Crown Fancy Stitched Raised Jumper Figure 8 Bridle Crafted from high-quality German leather with highly polished stainless steel fittings, this stylish, fancy-stitched raised Figure 8 bridle features a softly padded ergonomic headpiece and sheepskin padding, and comes with rubber reins. Features: Fancy stitched Ergonomic headpiece Sheepskin padding Reins included Item Specifications: Material: Leather Reins: Width: 3/4" Length: Cob 57", Full 59", Warmblood 61"
Collegiate Comfort Crown Padded Raised Flash Bridle Crafted from high quality German leather with highly polished stainless steel fittings. 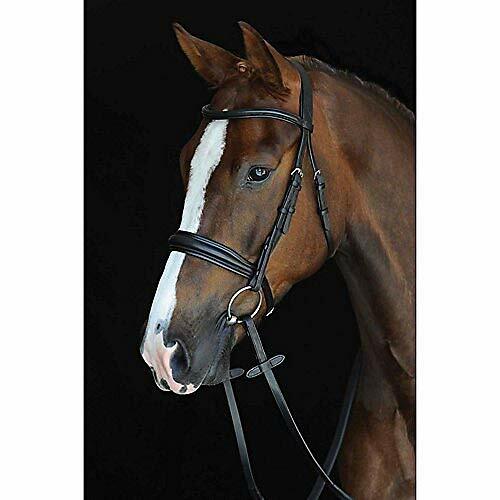 Stylish raised flash bridle with softly padded comfort crown headpiece and raised padded browband and noseband. Comes with rubber reins. 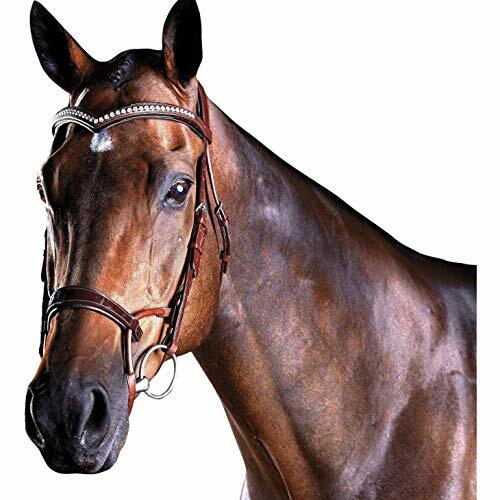 Features: Comfort crown headpiece Stainless steel fittings Reins included Item Specifications: Material: Leather Reins: Width- 3/4" Length- Pony 55", Cob 57", Full 59", Warmblood 61"
Bridle made from high quality European leather. 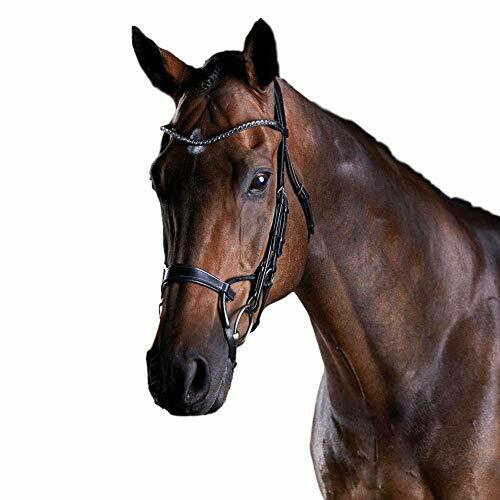 Anatomically shaped headpiece evenly distributes pressure across the poll for comfort. Double padding over poll area minimizes pressure. Shaped padding around the horses ears allows for maximum freedom and comfort. Ergonomically designed shaped to alleviate pressure of the upper jaw and molar teeth. Cheek strap and padded cheek ring alleviates pressure of facial nerves for comfort. 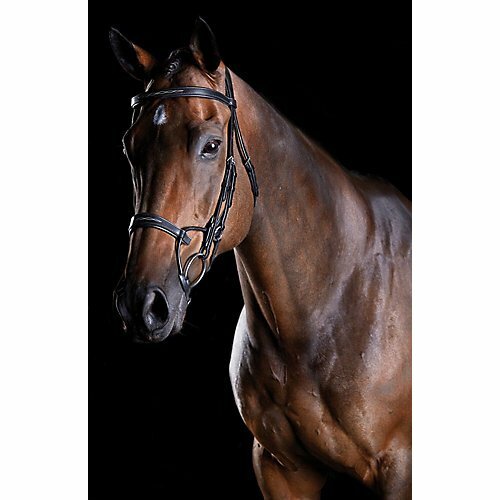 Collegiate Hunt Cavesson Bridle Crafted from high quality German leather with highly polished stainless steel fittings, this traditional flat cavesson bridle comes with rubber reins. 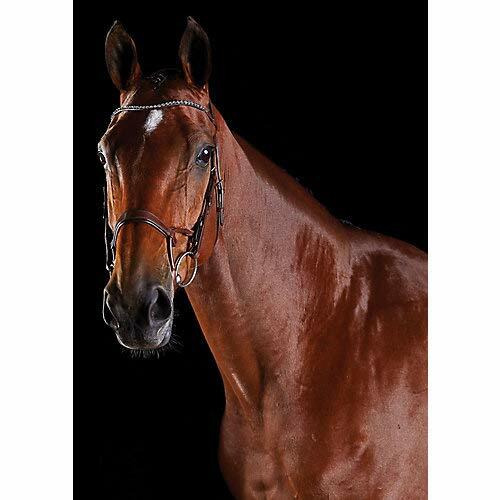 Features: Flat cavesson Stainless steel fittings Reins included Item Specifications: Material: Leather Reins: Width: 3/4" Length: Cob 57", Full 59", Warmblood 61"
Stylish raised Flash bridle with softly padded comfort crown headpiece. Made from the finest quality European leather with polished stainless steel fittings. Comes with rubber reins.